Create Your Order Of Custom Mouse Pads! Follow the steps below to customize your order of mouse pads. Hard surface mouse pads are made with a special surface that is scratch-resistant and nearly maintenance free. They come in different mouse pad backing materials. Select a mouse pad backing material to view available sizes and pricing. Our custom fabric mouse feature comfortable resilient polyester surface offers excellent traction, with permanent high-resolution imprint is guaranteed not to fade. Pads are backed with heavy duty natural black rubber backing for excellent non-skid performance. Ultra thin custom mouse pads are so thin and light, the shipping rates are generally very affordable. Low-tac mouse pads provide for the best, most authentic photographic reproduction capabilities. The laminated surface of your personalized mouse pad is scratch-resistant. This means that your image won't ever wear off or fade away over time and heavy usage. Choose a style of ultra thin and ultra lite mouse pads, to view available sizes and pricing. Our window mouse pads come in two unique styles, window lift top and window insert. The lift top mouse pad is very unique because it allows you to place a photo or sheet of paper with important information underneath it by lifting the top layer. Our window insert mouse pads feature a window area where you can place your images or sheet of paper with important information. Select a style of window mouse pad to view available sizes and pricing. AllMousePads.com offer several styles of liquid filled mouse pads, which will give your customers a unique way to remember your business. The custom liquid filled mouse pads can be designed to include a background image of your choice. We also sell a liquid filled mice that contains several floaters inside of it. Select a style to view available sizes and pricing. Our line of wrist rest provide your hands, arm, and wrist with exceptional comfort when you're working on the computer, or browsing the internet for an extended period of time. Select a style of wrist rest to view available sizes and pricing. A promotional mouse pad custom printed with your company's logo is one of the best ways to get your company out there. Make sure your customers have your company's name on hand with one of our promotional mouse pads. They are the ideal accessory and can influence your customers by keeping your contact information close at hand. When compared to a flashlight or keychain, a mouse pad is always near the computer when your customers are making decisions. The next time you have a customer who is looking for promotional ideas, think of our wholesale mouse pads with your logo imprinted on them. Whether it's a tradeshow giveaway, mailing, or product launch we have a variety of mouse pad options that fit every promotion or budget! AllMousePads.com knows that mouse pads are the most popular computer accessory that almost every computer user has. Our custom promotional mouse pads provide a smooth surface which will give you a nice area to use with your mouse when browsing the web or e-mailing your friends and family. Some individuals also use our personalized mouse pads because of the comfort they can provide for wrists and hands. Our durable mouse pads are made from quality, long-lasting materials which will hold up for many years to come. Our beautifully-designed custom logo mouse pads will also provide a layer of protection between your desk's surface and your mouse. Let one of our mouse pads protect your desk and advertise your company at the same time. Preventing damage can be simple with the help of a custom mouse pad from our mouse pad company. We can personalize your mouse pad order to have your business's logo and name placed on them. Custom promotional mouse pads from AllMousePads.com make for outstanding marketing tools for your business. Our stylish mouse pads come with many different options for you to choose from so you can pick a design that best meets your needs and budget. We have a huge variety of mouse pads and offer many styles, shapes and features. We appreciate your interest in our custom mouse pads and we look forward to working with you. Please contact us with any mouse pad questions you may have and we will get back to you as soon as we can. Below are a few of the necessary steps to building your business. There are steps in every relationship - the world of business is no different. It is up to you to establish and keep those relationships alive. Forging a bond through the information giving process. Achieving and keeping that two way commitment strong. Get Your Message In Front Of People. Simply fill out the form and supply us with your UPS or FedEx account number and we will send you free mouse pads samples. Free Shipping with Your Order of Custom Mouse Pads from AllMousePads.com. 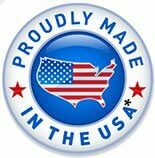 *Most products assembled in USA, a few products produced in China. Using custom mouse pads at your place of business has been proven to be highly successful as an advertising tool. Our personalized mouse pads can be designed to have your business's name and logo on them.